Jackson, Wis. (Mar 25, 2019) - Fishing nets are one of the most underrated and overlooked pieces of gear in an angler's arsenal. A net can make or break a day, and be the difference between winning and losing a big tournament. 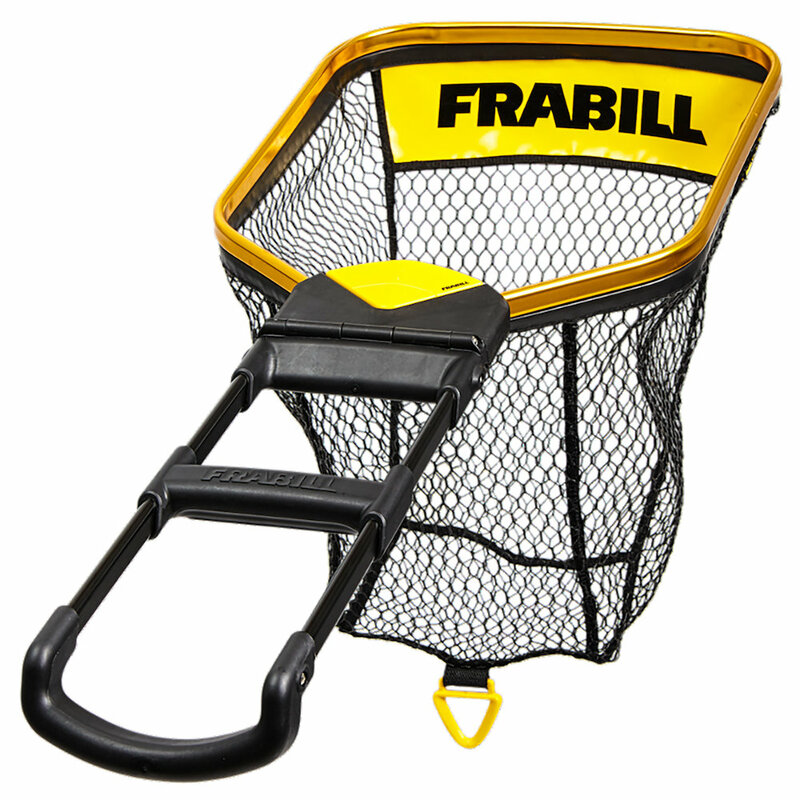 Frabill’s new comprehensive line of Trophy Haul nets help anglers get the job done and complete the process. 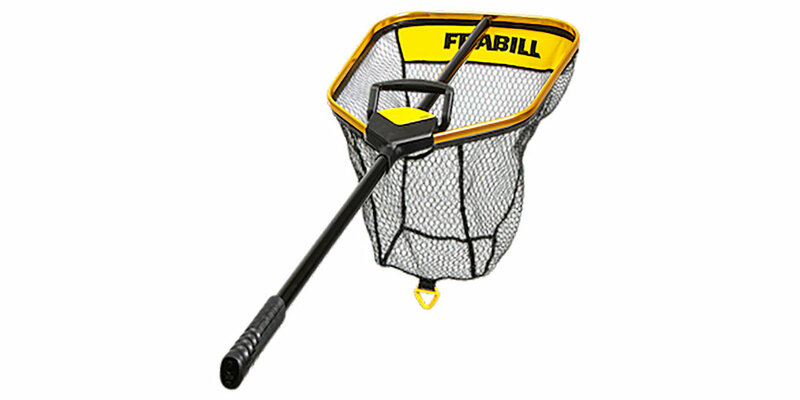 Frabill's new advanced series of nets come in three variants, the Standard Trophy Haul, the Power Extend, and the Bear Claw. Constructed from anodized stainless steel each variation is built tough and made to withstand use in both fresh and saltwater. Frabill's patented conservation netting goes into every Trophy Haul net and uses the signature Lockdown asymmetrical design to control fish better. Once landed the fish makes it way down a gradual slope to the flat bottom of the net. Centrally located under the revolutionary Trophy Haul yoke handle, the net and weight of the fish are easier to control, improving balance and reducing stress. The Standard Trophy Haul is the net your Granddad wishes he had growing up. 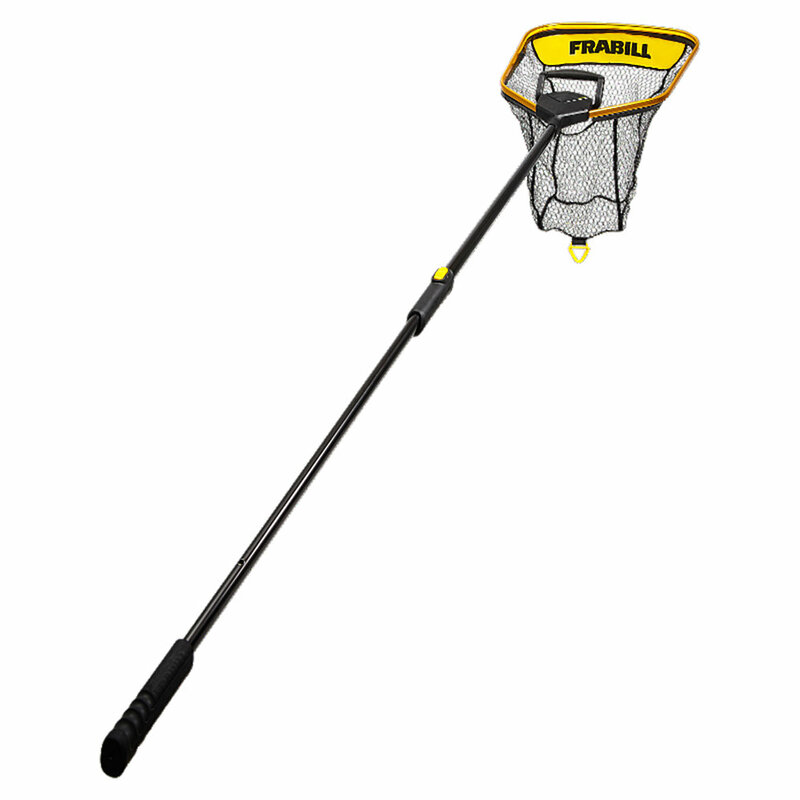 Feature loaded, the Standard has a triangular shaped handle that gives anglers total control. Fish can thrash as hard as they might, but the handle will not turn, spin or slip. A large Power Grip yoke handle at the rear of the hoop helps anglers finish the job, providing extra grip while swinging your catch into the boat. The Standard Trophy Haul is available in three hoop sizes: 18"x21", 21"x24", and 24"x27". The Power Extend net is the future of landing nets. Boasting just about everything but the kitchen sink, the Power Extend has all the amenities you need. Offered in three hoop sizes, the Power Extend extends from 3 feet to 6 feet in just a push of a button. Simply push the one-touch extension button mid-handle, and the net will extend on its own, an excellent feature for landing large fish while out on the water alone. For low light and early morning fisherman, the Power Extend comes equipped with three Net Vision LEDs that operate in three stages. The LED's are also programmed to power down on their own after five minutes idle. The Power Extend has reflective material on the mesh guard of the hoop to interact with the LEDs making it easy to see exactly where the net is in the water. Frabill's Bear Claw completes the new Trophy Haul series of nets with the lone angler in mind. Small craft fisherman, shore anglers, and people who like to fish sans company will enjoy the Bear Claw and its intuitive design. Lightweight and packable, the Bear Claw handle folds up quick and easy for rapid transport and deployment. A forearm support and sliding grip allow the Bear Claw to fit most anglers. Utilizing a scooping motion, the Bear Claw will enable anglers to land their catch with a rod in one hand and net in the other, just like a grizzly bear plucking trout from a mountain stream. The Bear Claw is available in two versions: Standard and the Net Vision lighted version, both featuring a 14"x18" hoop. Each Trophy Haul series net comes complete with a control ring on the bottom of each net bag. This ingenious feature allows anglers to maintain the utmost control of the bag during landing. While maintaining control of the ring, anglers can guide their net past obstructions in the direct vicinity, such as rod handles and cleats with ease. Don't risk getting hung up on something as you approach your catch. It could cost you the fish of a lifetime. Trophy Haul - Standard - Handle 48", Hoop sizes 18"x21", 21"x24", 24"x27"
Power Extend - Handle 38-72" Hoop sizes 18"x21", 21"x24", 24"x27"
Bear Claw - Handle 18" Hoop sizes 14"x18"
The Bear Claw is available in two versions: Standard and the Net Vision lighted version, both featuring a 14"x18" hoop.